Prominent & Leading Manufacturer from Gandhidham, we offer designer wooden pooja door, ghana teak pooja door, teak wood pooja door and carved teak pooja door. 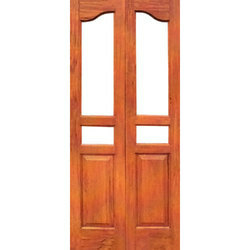 With immense market knowledge, we have been able to provide optimum quality Designer Wooden Pooja Door. 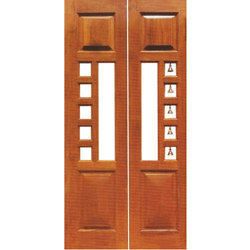 As a quality focused firm, we are engaged in offering a high-quality range of Ghana Teak Wood Pooja Door. Simple and Elegant design pooja room door. CNC machine carved wood teak door. Used as temple door. Size customized as against order. Packaging Details: cardboard and plastic wrapped.